We are very excited to announce that Grammy nominated Sophie B. Hawkins is our first celebrity “spokesperson”. Sophie will talk about ZCF whenever she can at appearances, concerts, etc. She has already posted on her Facebook page a thank you for our gifts of beaded jewelry. Sophie is currently in a one woman show about Janis Joplin. In addition, Sophie will be touring to promote her newly released CD “The Crossing”. Sophie also contributed the song “A Child” for our benefit CD now in pre-production. Finally, Sophie is very interested in getting together with Zambian musicians to produce an EP of music as a future fundraiser. We look forward to working with Sophie who shares our concerns, beliefs, and hopes for the children of Zambia.You can learn more about Sophie at www.sophiebhawkins.com. Saving the life of a child is the greatest gift you can give. Make your gift count this Holiday Season by providing orphans with the tools they need to break the cycle of extreme poverty and HIV/AIDS in Zambia. Let your friends and family know that this year you are setting aside material desires and instead truly focusing on those less fortunate. We can provide you with brochures to mail, an email template, or an online greeting card to let your friends and family know that you are a dedicated ZCF supporter! When a donation is made in someone’s name they will receive a card letting them know of the generosity of the giver. Contact us today to learn more! This may be the first time you are hearing directly from a Zambian. Thank you so much for your interest and care for children thousands of miles away, children that you have never seen and may never see. In your caring, you have touched them more than you can ever imagine, you are planting seeds of compassion. 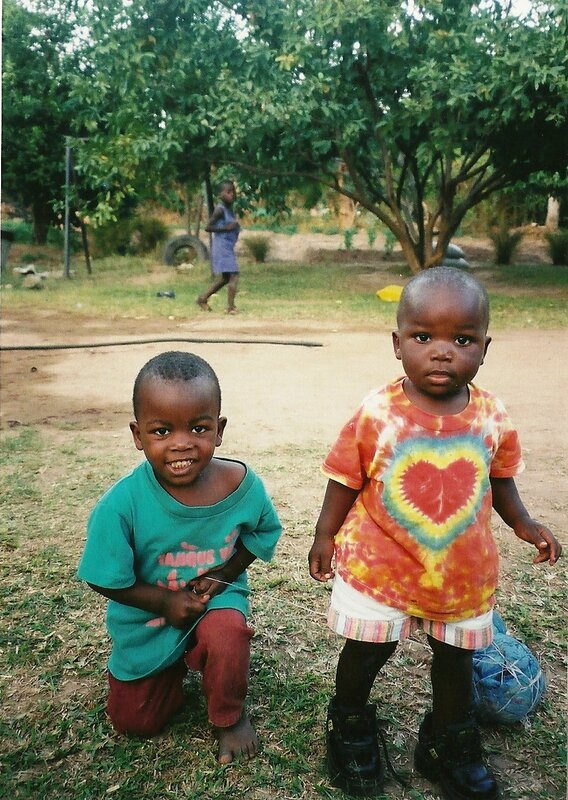 I went to Zambia for my mother’s funeral and wanted to visit the orphanage again, which I had first visited in 2008. It was twilight when I left the orphanage, 9 kids had organized a soccer game and were really having fun though their ball was falling to pieces. http://www.youtube.com/watch?v=x9xPAccU8Io&feature=plcp As a new member of the ZCF Board I was able to look at things from a fresh perspective. Two houses that had been under construction in 2008 were now operational and the school had added a wing with more classrooms including a library and a media center. There were more fruit trees and also more plants and shrubs around the homes that made a very beautiful sight. I later had lunch with the teachers and I asked for feedback and ideas. I promised them I would do my best to act as a bridge between the two cultures. As Kathe prepares to retire, we are in a very challenging transition and we need your help more than ever to ensure the successful continuation of this wonderful orphanage. I look forward to seeing the fruits of your support and the new children who come to be helped by your generous contributions. Saturday, October 27, 2012 the Zambian Children’s Fund will host “Make a Difference Day” at 122 North Craycroft from 9:00 until 3:00. Please bring gently used children’s clothing (we take new items too! ), shoes, school supplies, books for all ages, fabric and sewing supplies. We will sort, pack and box items so they will be ready to put into a shipping container to send to Zambia. Experienced packers will be available to train new volunteers. For more info contact us at: www.zambianchildrensfund.org or 323-2504. Please bring donations between 9:00 and 2:00, to Building 4 at 122 N. Craycroft. We hope to be able to finish sorting and boxing everything by 3:00. Most of the children living or going to school at the Chishawasha Children’s Home are between the ages of 6 and 16 and we will have lots of photos of the children and Chishawasha campus. So come and enjoy a day helping others and working with children and adults from Tucson and MAKE A DIFFERENCE. Kathe Padilla, our founder and Executive Director, has decided that she would like to retire soon. We are now in a time of transition. Kathe will continue as Executive Director of ZCF and the Board of Directors will be overseeing everything in the US and in Zambia as we prepare the search process to hire a new Director. faithful donors, who have made this possible over the last 12 years. 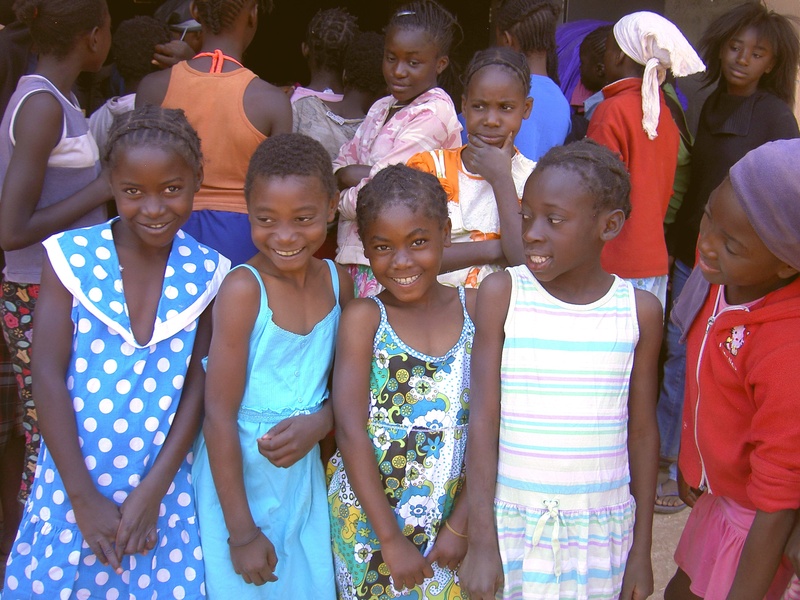 The Chishawasha campus now supports 150 beautiful children and is growing…there will be many more children in the future whose lives depend on us. It will take all of us working together to be able to write the next chapter for Chishawasha. We need to raise twice the money as we have in the past, as well as to enlarge and develop our Board of Directors. We also need to make more people aware of this important work to help these children. We are working with an advisor from SCORE which is a national organization of retired business people who work with small businesses and nonprofits. We have been accepted by SCNO at The University of Arizona, a group at the Eller School of Business that selects one non-profit a semester to work with and advise. could help, please let us know. You can also help by sponsoring a child. Thank you so much for your support through the years. 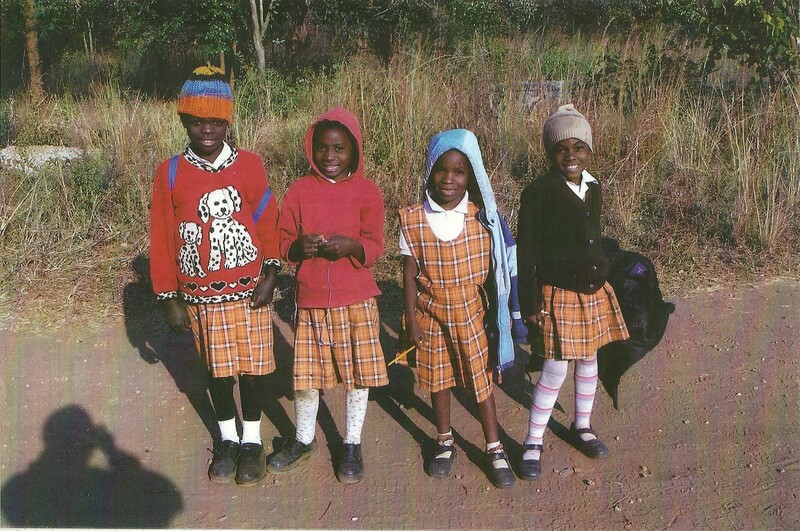 Please Vote for ZCF to help win grant money from the Chase Community Giving Program to raise and educate orphans in Zambia! ZCF, along with thousands of other charities, has been chosen to compete in the Chase Community Giving Program. Chase will divide $5,000,000 between the 196 Charities who receive the most votes. Chase customers with a Chase online account and Facebook users can vote for their favorite charity from Thursday, September 6, 2012 through Wednesday, September 19, 2012. Chase Customers with a Chase online account will receive two (2) votes on www.ChaseGiving.com. Each vote on www.ChaseGiving.com must be cast for a different Eligible Nominated Charity. Facebook (www.facebook.com) users who allow “Access” to the Chase Community Giving application will receive two (2) votes on the Chase Community Giving application on Facebook. Each vote must be cast for a different Eligible Nominated Charity. You can receive “bonus” votes if you share the link with a friend on Facebook and they vote as well. Note: If you have both an online Chase account and a Facebook account, you can vote for ZCF through both to increase your impact! This is not only a great opportunity for ZCF to receive much needed funds to support the Chishawasha Children’s Home, but also a much needed platform to gain national attention that will highlight the impacts ZCF is having on children’s lives in Zambia. The 196 Eligible Nominated Charities who receive the most votes will receive a grant as described below. The grant recipients will be announced on or about September 20, 2012. The Voting Period begins on September 6, 2012 at 12:00:01 a.m. ET and ends at 11:59:59 p.m. ET on September 19, 2012. 1.) http://www.ChaseGiving.com: During the Voting Period, Chase customers will automatically receive two (2) votes to cast during the Voting Period by visiting www.ChaseGiving.com and following the directions. Chase customers may also cast votes on Facebook as defined below. Voters on ChaseGiving.com can only cast one (1) Standard ChaseGiving.com vote per charity. 2.) Facebook: During the Voting Period Facebook Users on the Facebook Chase Community Giving application will automatically receive two (2) votes to cast during the Voting Period on the Chase Community Giving application found at www.facebook.com/chasecommunitygiving. A Facebook user can only cast one (1) Standard Facebook Vote per charity. A Facebook user can earn one (1) bonus vote by allowing “Access” and sharing any content from the Chase Community Giving application to his/her Facebook newsfeed or timeline. If one of the Facebook users’ Facebook Friends links back to the Chase Community Giving Application and casts a vote, the original Facebook user will earn one (1) bonus vote. The bonus vote earned by the original Facebook user can only be cast once he/she has cast his/her two (2) Standard Facebook Votes. Voters must return to his/her Facebook page to find out whether he/she has earned a bonus vote as it will be displayed both in the header as well as in the “apps and games” link. There is a limit of one (1) bonus vote earned per Voter. Voters who vote at http://www.ChaseGiving.com and Facebook have the potential of voting a minimum of four (4) times and a maximum of five (5) times. A Voter who is a Chase customer may be able to vote for the same Charity three (3) times, one (1) vote on http://www.ChaseGiving.com, one (1) vote on Facebook and one (1) bonus vote on Facebook if all requirements are met to earn that bonus vote as outlined above.